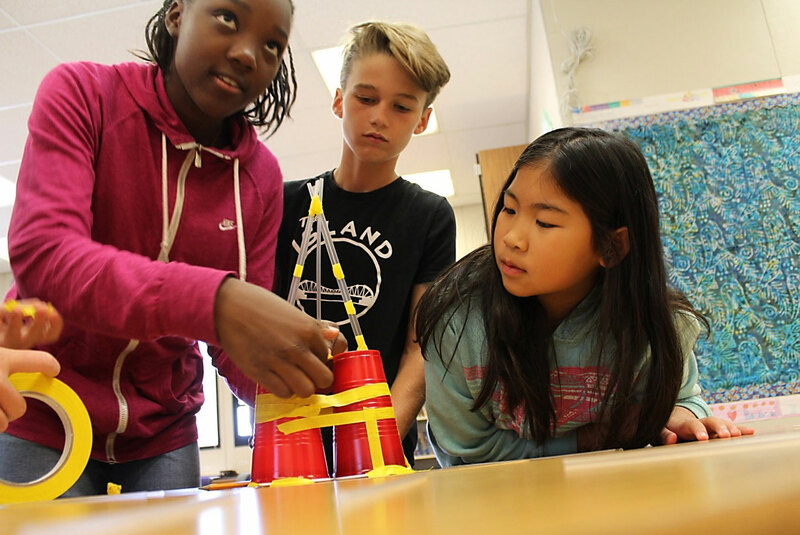 Teamwork is part of a social-emotional learning project in 5th grade at Haight Elementary in Alameda. The Aspen Institute announced Tuesday it has launched a commission to accelerate the transfer of research about social and emotional skill-building — which includes developing the interpersonal skills that organizers say contribute to success in school, college and work — into teaching practices across the nation. Seven Californians are members of the National Commission on Social, Emotional and Academic Development. Linda Darling-Hammond, president of the Learning Policy Institute, is one of three co-chairs. Other Californians are Laszlo Bock, senior advisor at Google; Ellen Moir, chief executive officer at the New Teacher Center; Pedro Noguera, professor at UCLA; Rachel Santos, positive behavioral interventions and supports coach at ABC Unified; James Shelton, president of education for the Chan Zuckerberg Initiative; and Antwan Wilson, superintendent of Oakland Unified. Tim Shriver, another co-chair of the commission and chairman of the Chicago-based nonprofit the Collaborative for Academic, Social and Emotional Learning, said the commission wants to instigate far-reaching changes by integrating social-emotional skill building into the nation’s educational system. “I think we can all agree that parents are worried about their children, teachers are challenged and stressed by the environments they work in and that young people often report their primary experience in school as being bored or tired or stressed out,” said Shriver, who also is chairman of the Special Olympics. 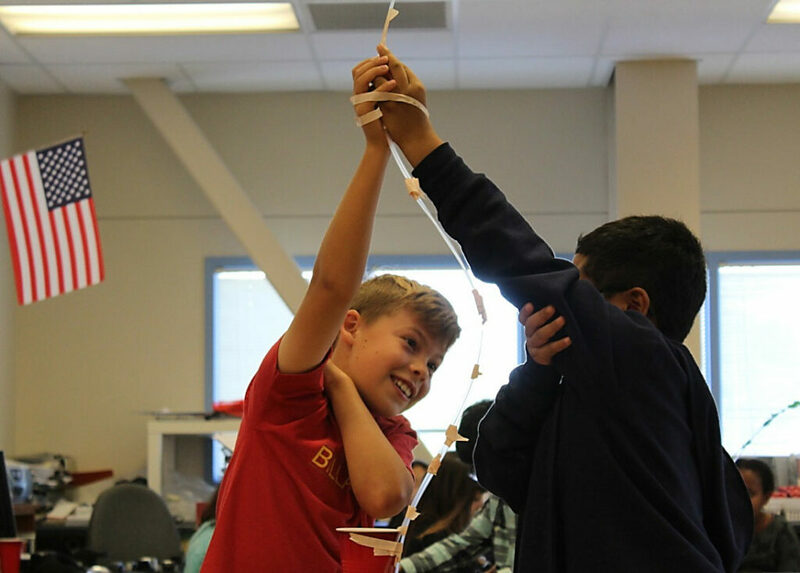 “Yet at the same time, we have a moment of extraordinary possibility, with the emerging science around social and emotional learning,” Shriver said. Teachers and administrators are increasingly interested in using social and emotional practices, he said, which might include morning classroom meetings and recognition for acts of kindness by students. Research has shown that building a positive school environment reduces behavior problems, he said. Darling-Hammond has long promoted the importance of social and emotional skills and is a member of the California planning team for a multi-state project known as the Collaborating States Initiative. “Compelling education research and brain science now demonstrate what parents have always known: the success of young people in school and beyond is inextricably linked to healthy social and emotional development” Shirley Brandman, executive director of the commission and a former juvenile public defender in Newark, N.J., wrote in a blog post. Social and emotional learning may include, for example, explicitly teaching students how to work collaboratively, be aware of others’ feelings and set academic and life goals. He outlined several stumbling blocks in the way of promoting social-emotional skills in the classroom. These include a time lag between what researchers on social and emotional learning have found to be most effective in classrooms and when teachers are trained and ready to use those methods; a political divide about educational priorities; and the need to listen to students who are going through the system. “Education has been in some ways limited in its ability to make real significant change because we haven’t listened to young people enough,” Shriver said. The idea of teaching social skills received a potential boost from the new federal education law, the Every Student Succeeds Act, which requires states to create school accountability systems that include at least one nonacademic indicator. The third co-chair of the commission is John Engler, president of the Business Roundtable and former three-term governor of Michigan. Other members are listed on the commission website. Also on the commission are a retired four-star general, two former state governors, a Colorado teacher of the year, business leaders and philanthropists to create a pathway for social and emotional skill-building methods to be explored, modified and moved into local classrooms. It is so nice to see children being observed and evaluated in topics other than grades. This competitive atmosphere has all but ruined the education system in the United States and adding other facets such as social and emotional learning is a huge leap in the right direction. This is a good idea, but it has to be positive, intellectual, kind of like Tony Robbins, and involve clear delineation that encourages kids to study long hours and learn tough skills and read from a young age, no TV. It has to reach boys. Boys are barely 40% of UCs and under 40% of Lowell High School in San Francisco and 40% of law and graduate degrees. They’re getting discouraged and falling apart. If this is lecturing and alienates them, it will backfire. If it is done in a positive and respectful way, it could be good, but in general, boys are the ones who are struggling now.